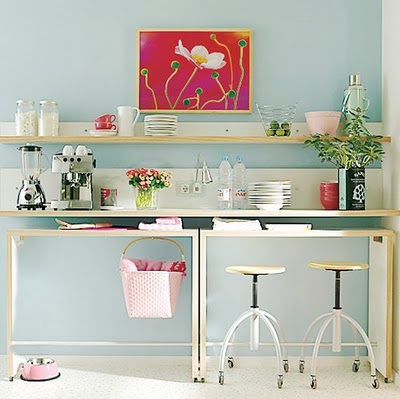 I know THIS kitchen has already made it's way around the blogosphere...BUT how cute and efficient is this kitchen? Especially if you have a small space to work with....enjoy! I forgot to save the source. If you know, please tell me.